Harvard Business School was launched as a “delicate experiment” in 1908. In the years since, we have defined—and refined—management education so as to meet the needs of a changing world. Today, as we begin our 12th decade, we recognize the broader role that business and business leaders are being called upon to play in improving society and addressing the challenges it faces. Forces such as technology and globalization have helped millions worldwide lift themselves out of poverty, and business has served as an important engine of prosperity. But the progress that has been realized highlights yet further the divide between poor and wealthy, the gaps in access to quality health care, and the effects of climate change, to name a few. These are problems that will not be solved in silos; they will be solved when people with expertise in a wide range of areas—from artificial intelligence to human behavior to medicine to finance—collaborate, each learning from the others as their collective imaginations coalesce into powerful ideas, practical solutions, and creative approaches to managing difference and making the world a better place. 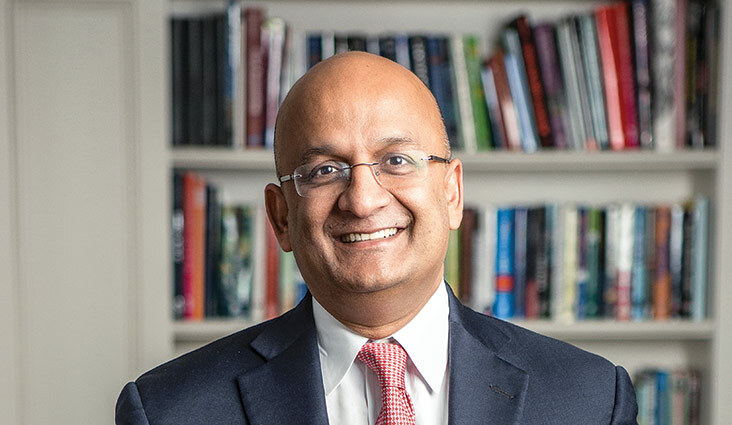 The Harvard Business School Campaign has poised us to realize this future by strengthening the pillars on which the School rests: our students and alumni, our faculty and staff, our residential campus, and our unique economic model. It has stimulated our imagination and sharpened our sense of responsibility. I couldn’t be more excited about the path ahead.